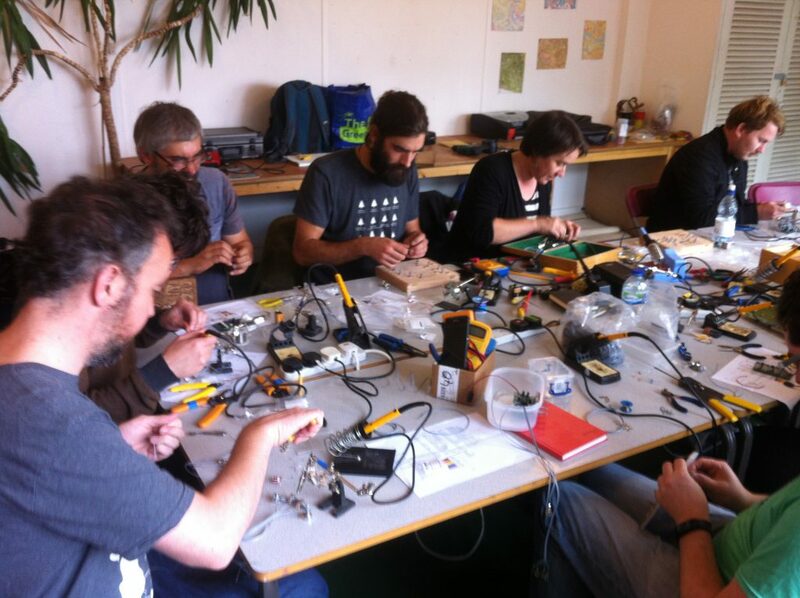 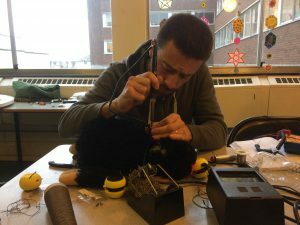 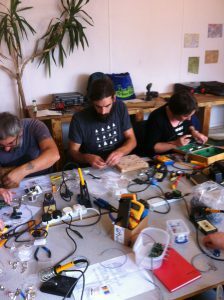 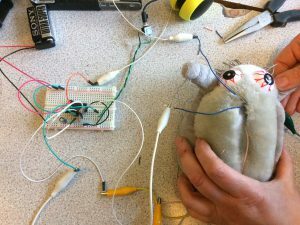 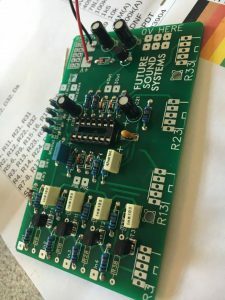 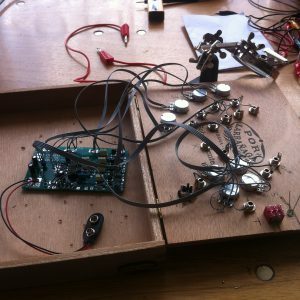 Beyond Sound is a series of Bristol based workshops exploring basic DIY electronic instrument building. 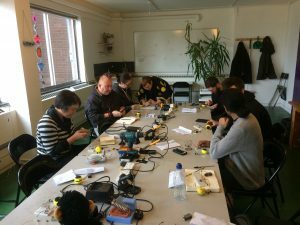 A different artist is invited to lead each workshop and the events are generally suitable for both beginners and more experienced DIYers. 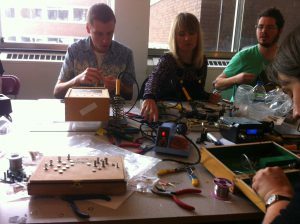 Past workshops have been run by Finlay Shakespeare (www.futuresoundsystems.co.uk) who guided participants in building a four oscillator semi modular synth and Tara Pattenden AKA Phantom Chips (www.phantomchips.com) who brought her knowledge of conductive textiles and tactile interfaces to the session. 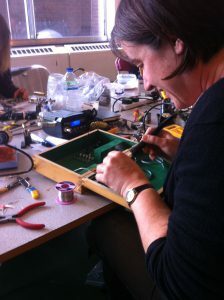 The workshops have proved very popular and usual book up fast. 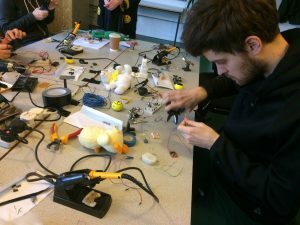 Stay in touch on the Facebook group (here) and add your email to the mailing list below to stay informed about future dates.